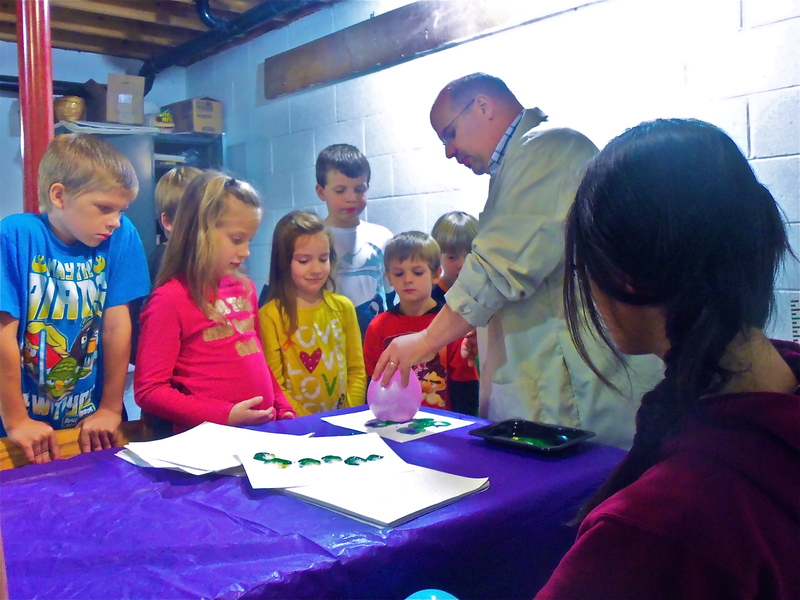 10:30 a.m. – 12 noon Ages 10 and up! 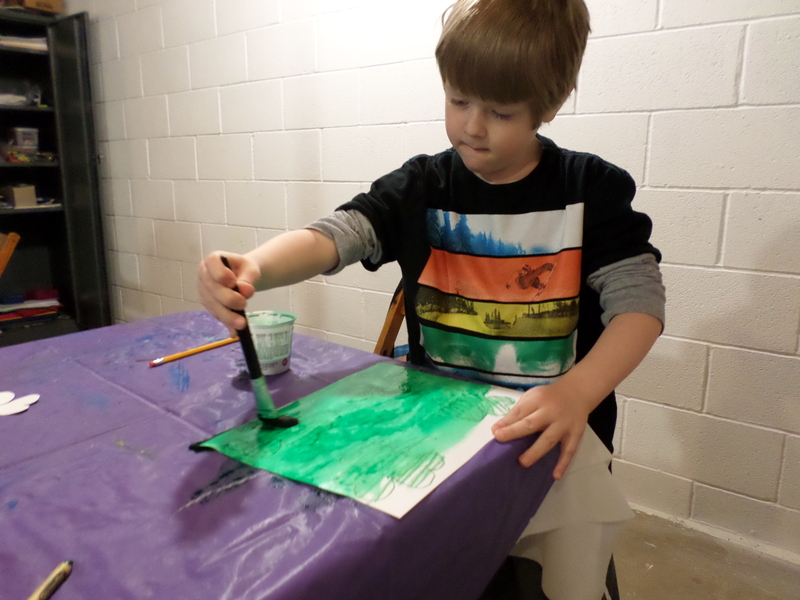 Sign Up & Prepay for Winter Classes Today! 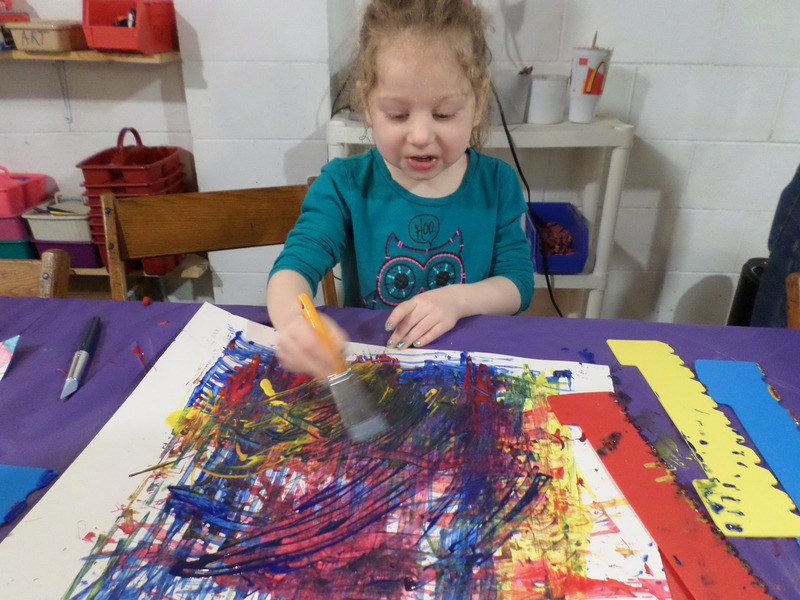 Classes will cover art history, visual & motor skills, principals of art & design, creative thinking, basic drawing, painting and 3D art concepts as well as integrate with basic educational concepts of math, science, language and history. 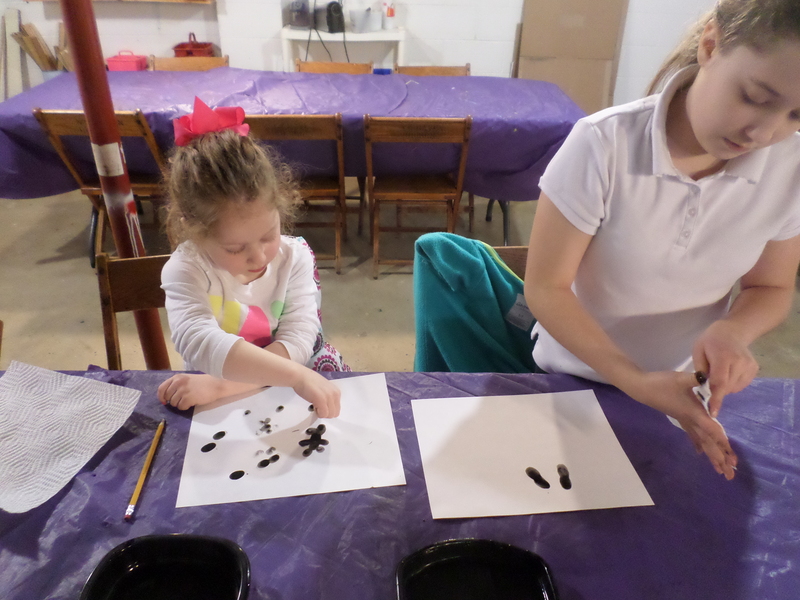 Come explore ART and have some fun! 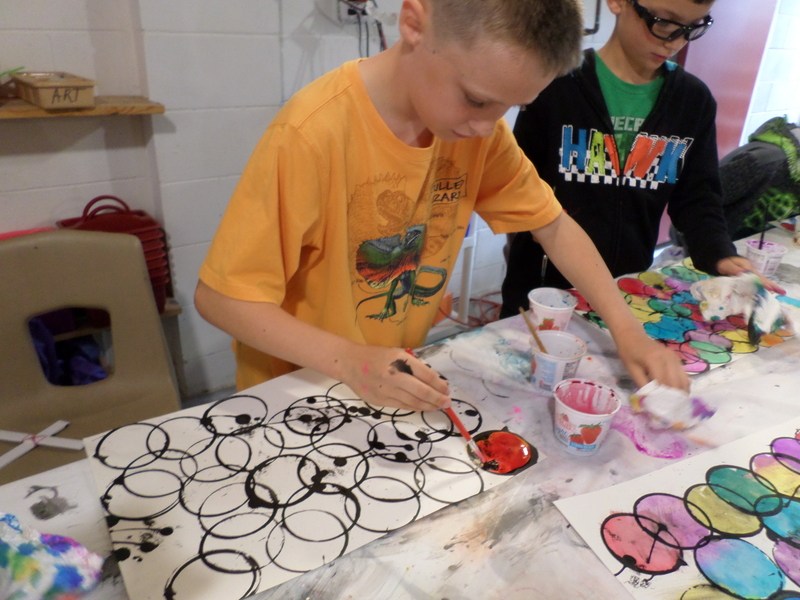 Cost: Cost $30 a student for 5 sessions Instructor supplies all materials! 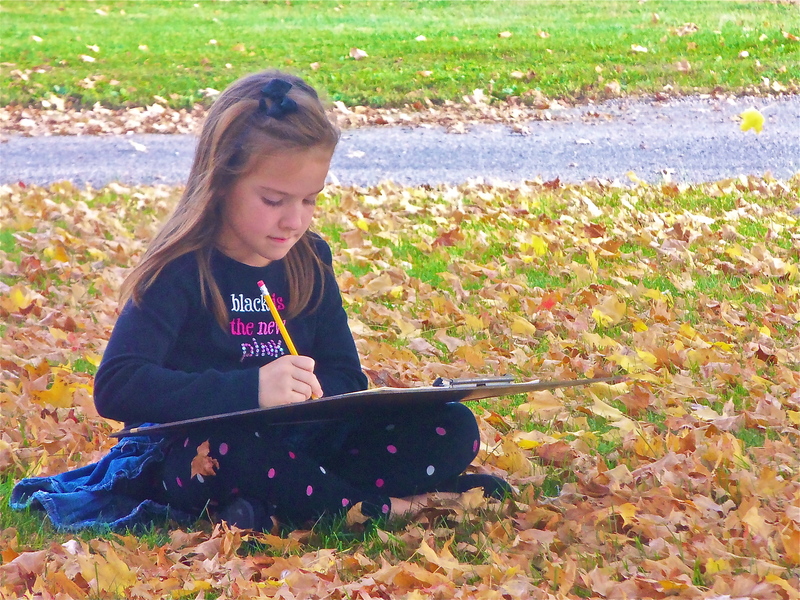 *If bad weather cancels Willard City Schools –Art Classes will be canceled and a make-up date will be added. 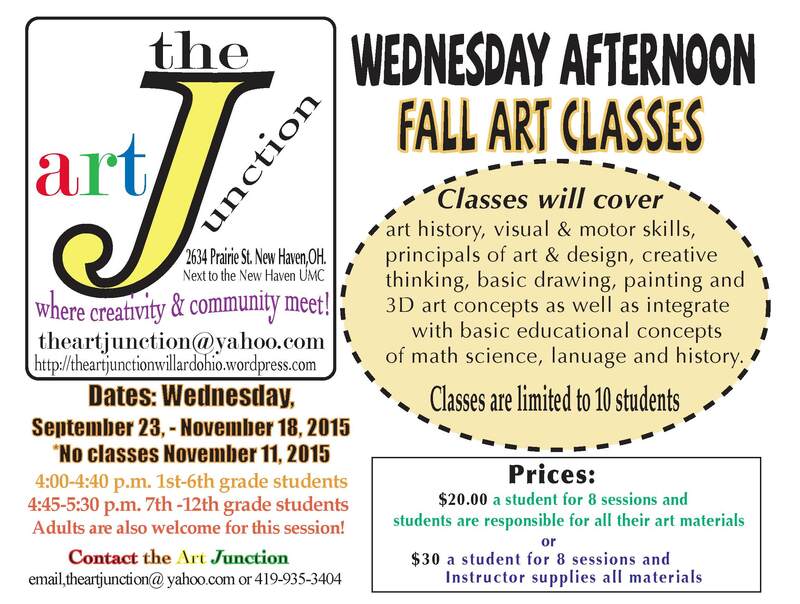 Cost: $25.00 a student for 5 sessions Students are responsible for all of their art materials! Cost $30 a student for 5 sessions Instructor supplies all materials! 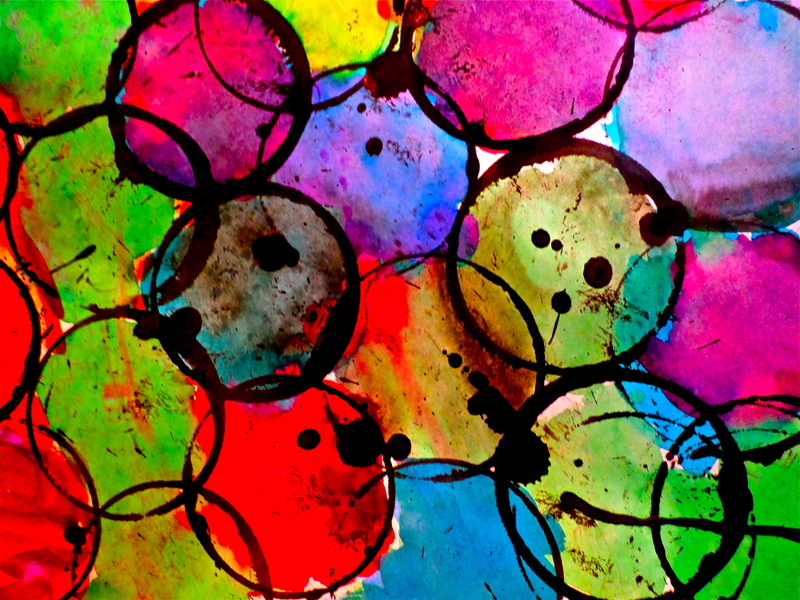 Recently the Art Junction held a wonderful workshop on creating fused-glass plates. Jill Groves led the workshop, instructing the participants in all the methods and processes of creating fused-glass. 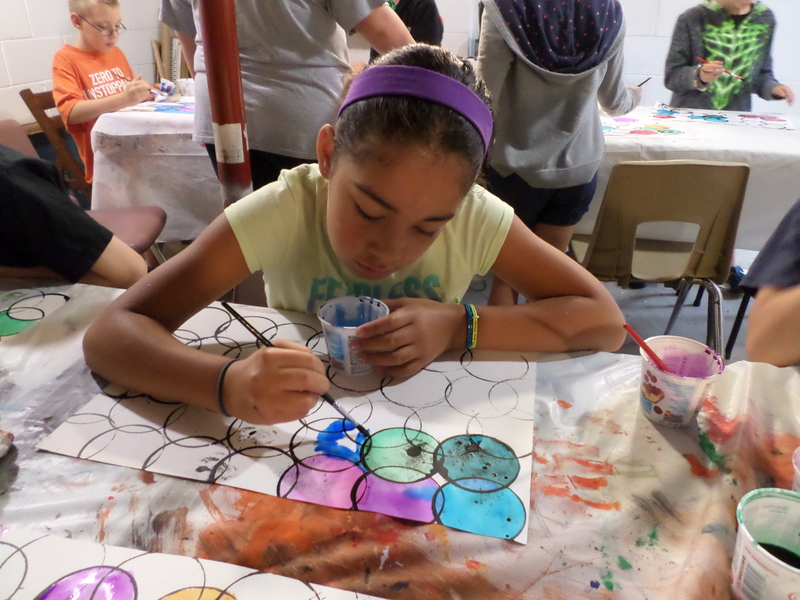 Everyone enjoyed the process of creating their plates. 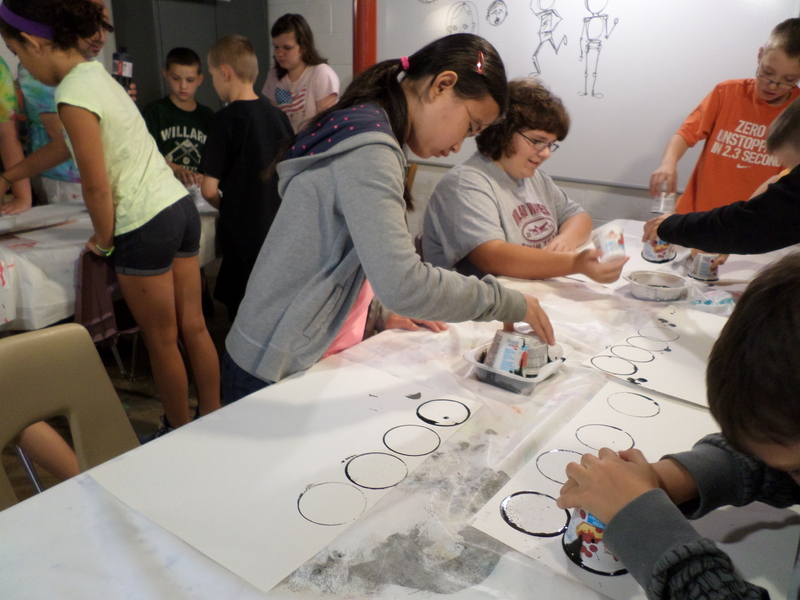 There were many steps to creating each plate as everyone had a different vision for their project. Everyone learned from each other in the creative process. Those are examples of the beautiful plates before firing. Maybe you can join us for our next fused-glass workshop in March where we will be creating plates again! 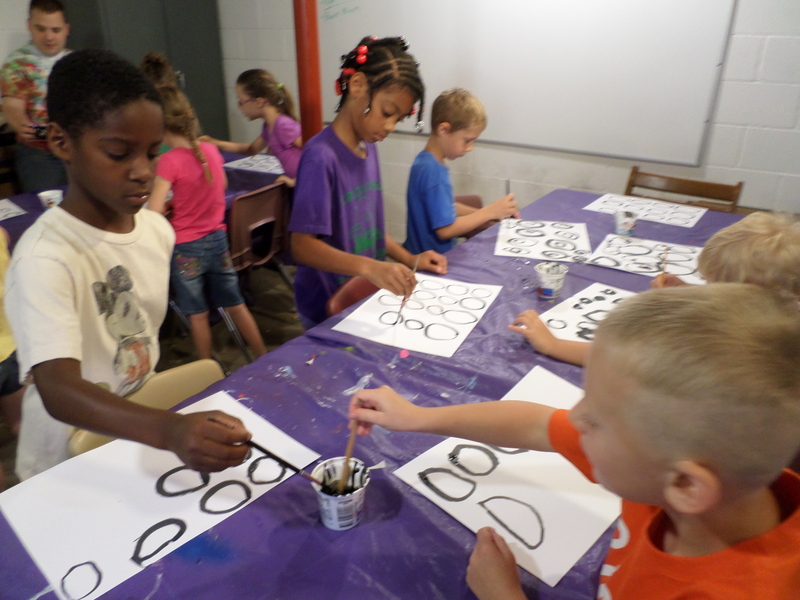 Cost: $20.00 a student for 8 sessions Students are responsible for all of their art materials! Cost $30 a student for 8 sessions Instructor supplies all materials! 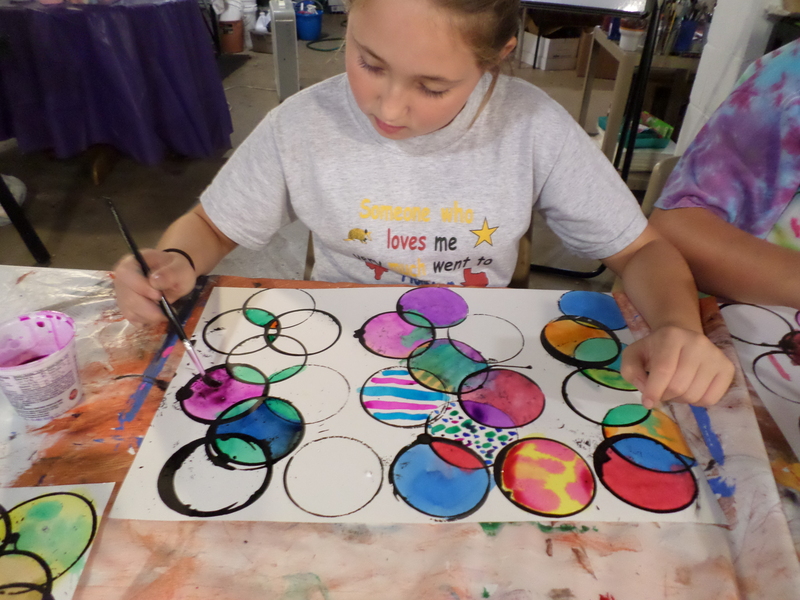 Art Campers explored using the circle as a design element this summer. 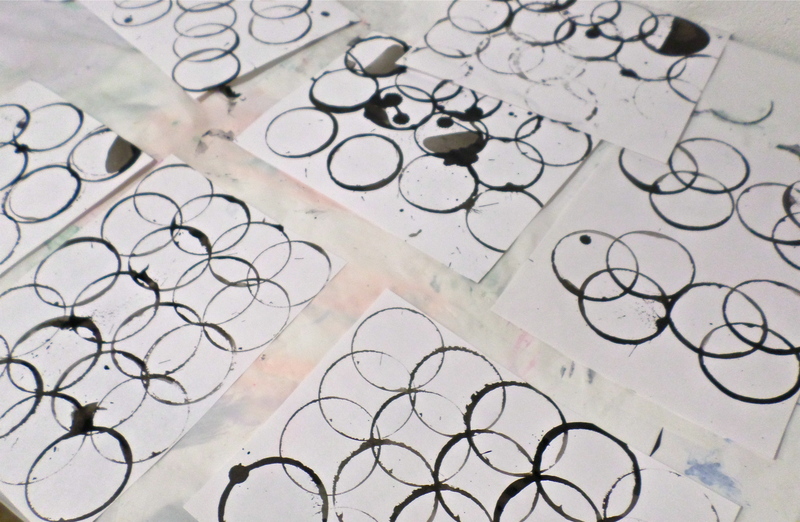 Everyone began by creating circular ink prints with yogurt cups. 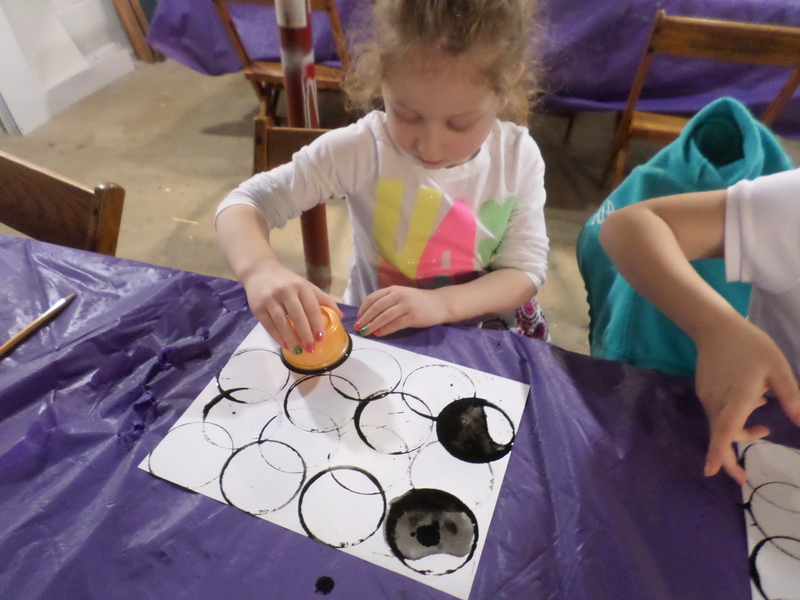 After some dry time for the ink everyone began to add a pattern of color to their circle print. Everyone chose to use color in a new way from everyone else. 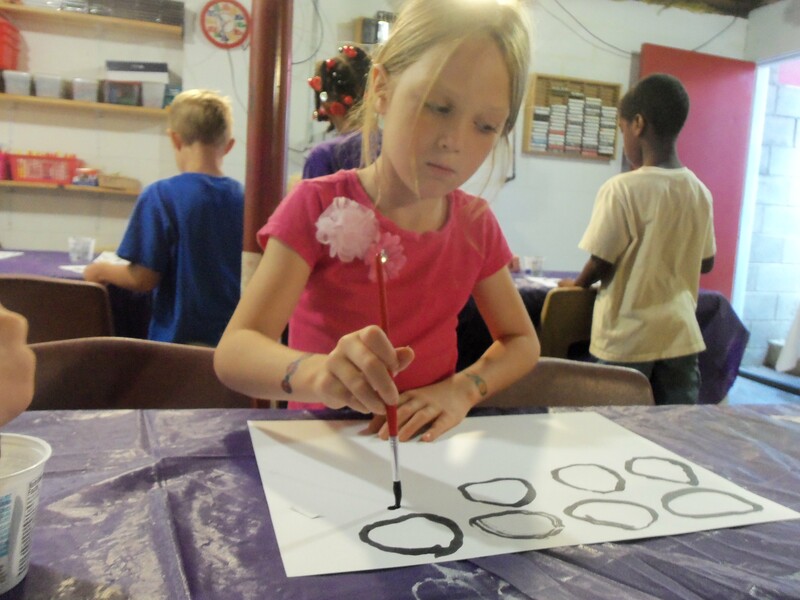 All of the campers were engaged in the creative process. 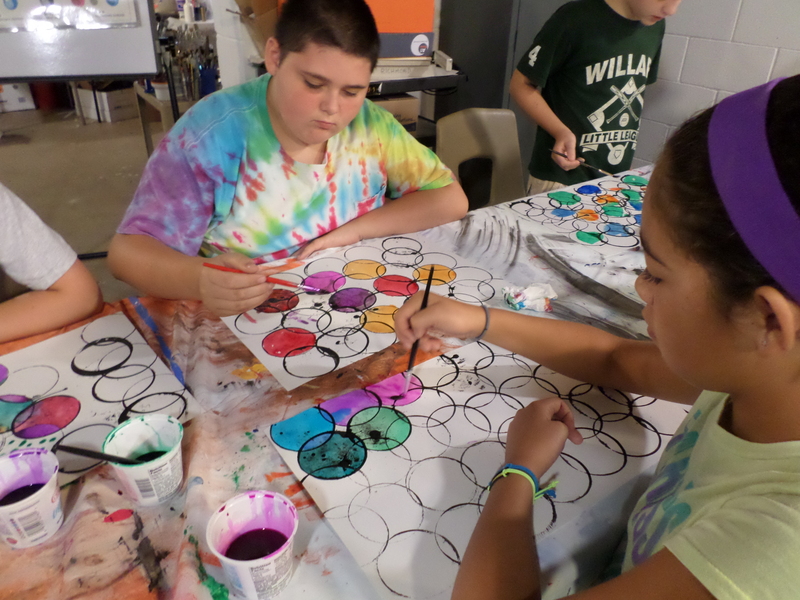 There were many wonderful ideas explored in this circular composition project. 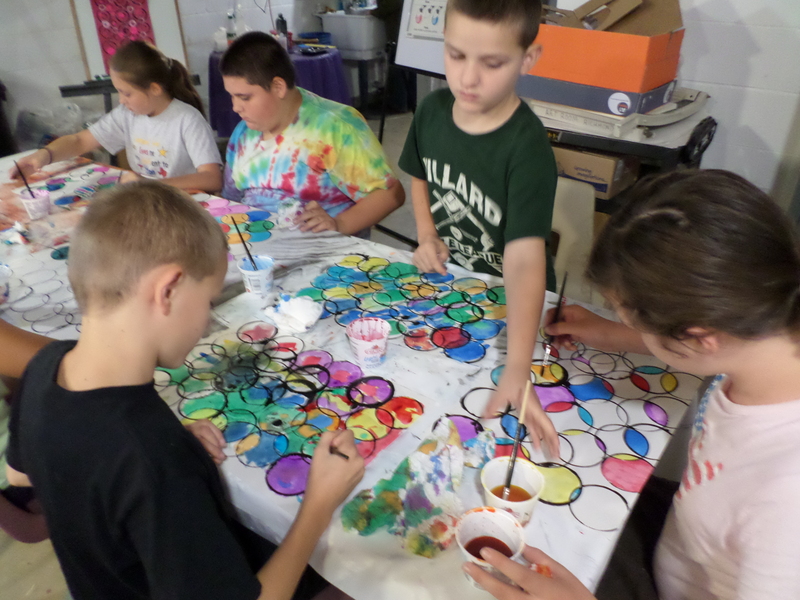 Everyone was focused on completing their colorful ideas. I was very happy with the students’ enthusiasm for this project and their hard work. It was great to work with motivated kids! 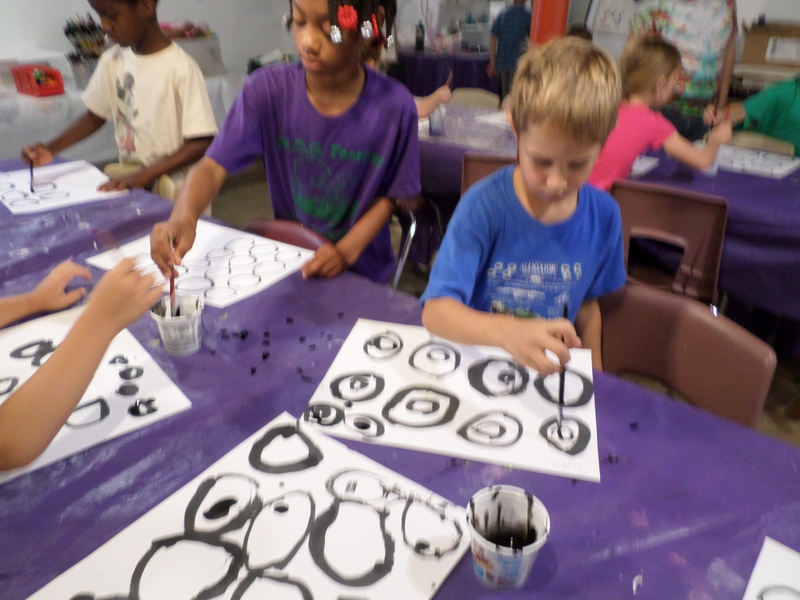 Campers explored creating patterns with circles. 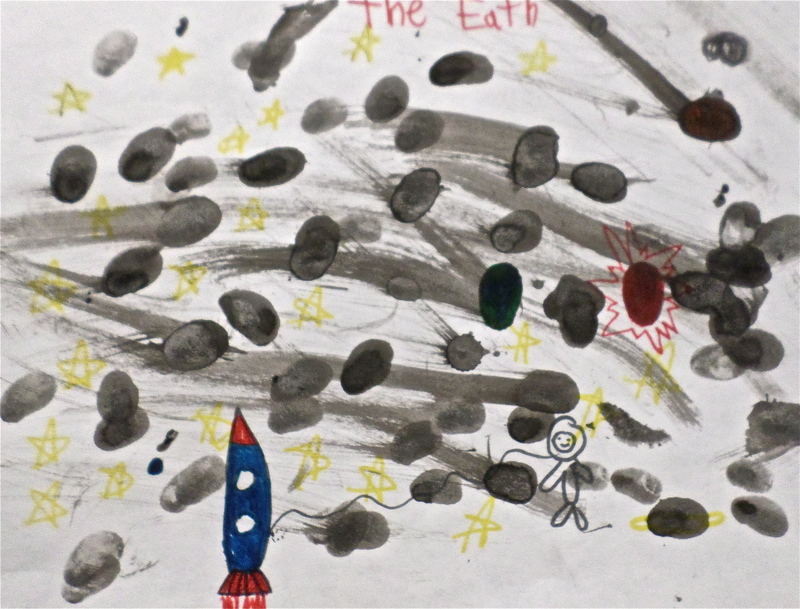 Everyone used ink as their medium for this project. 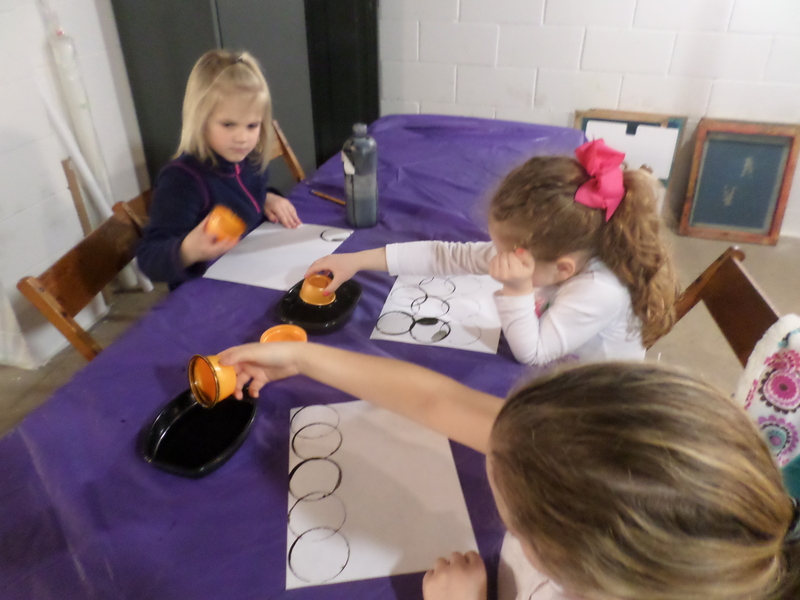 Everyone created many different types of circles. 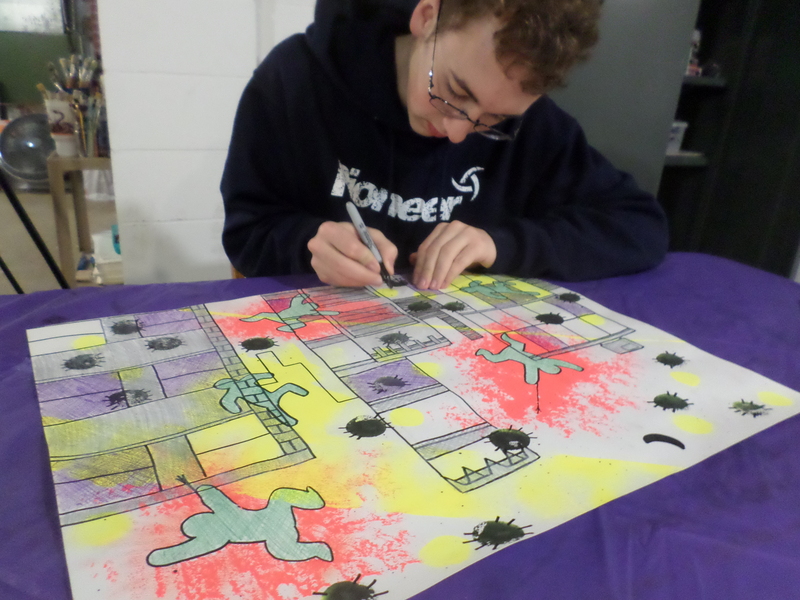 There were many different designs created as all the students enjoyed the creative process. 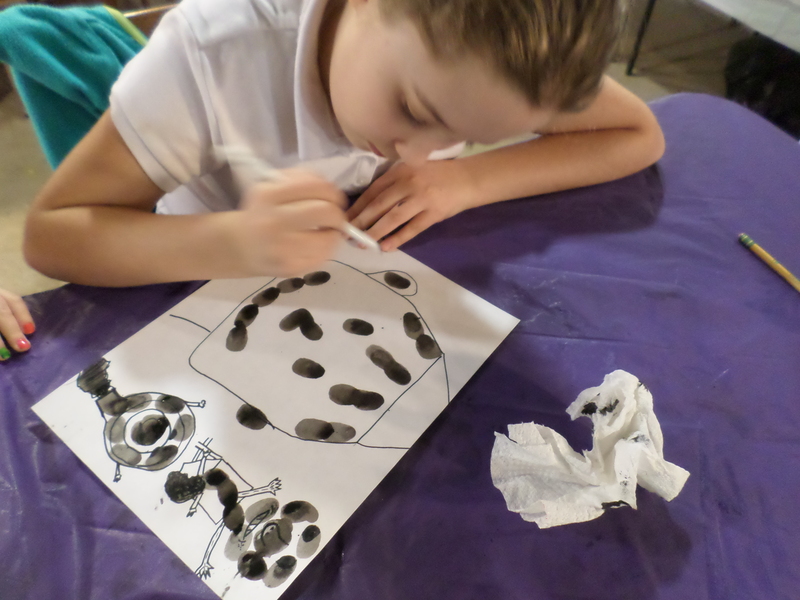 Wednesday afternoon art students explored printmaking recently. 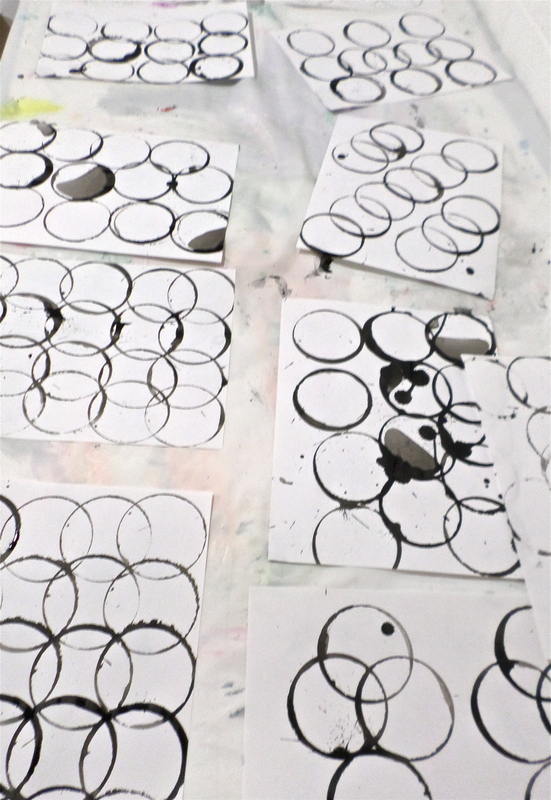 Students made a series of circle prints using cups and ink. 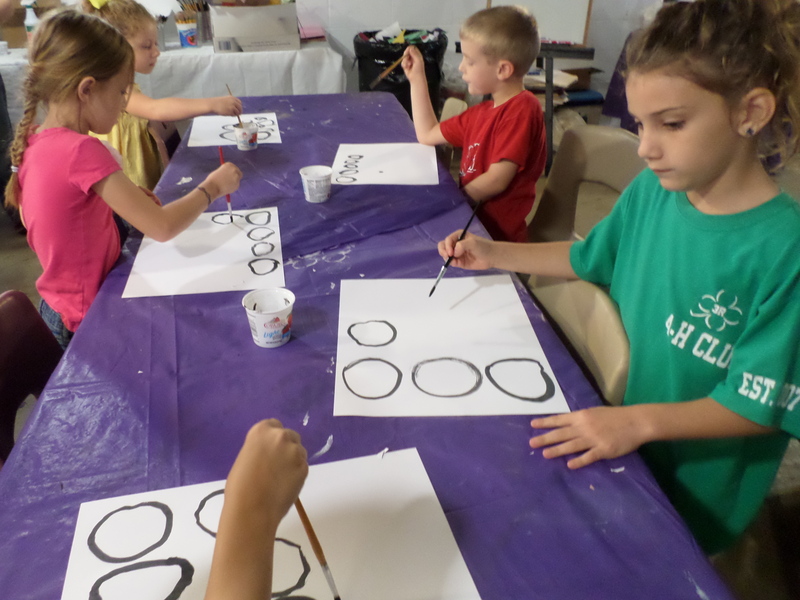 Everyone created a different pattern of circles. 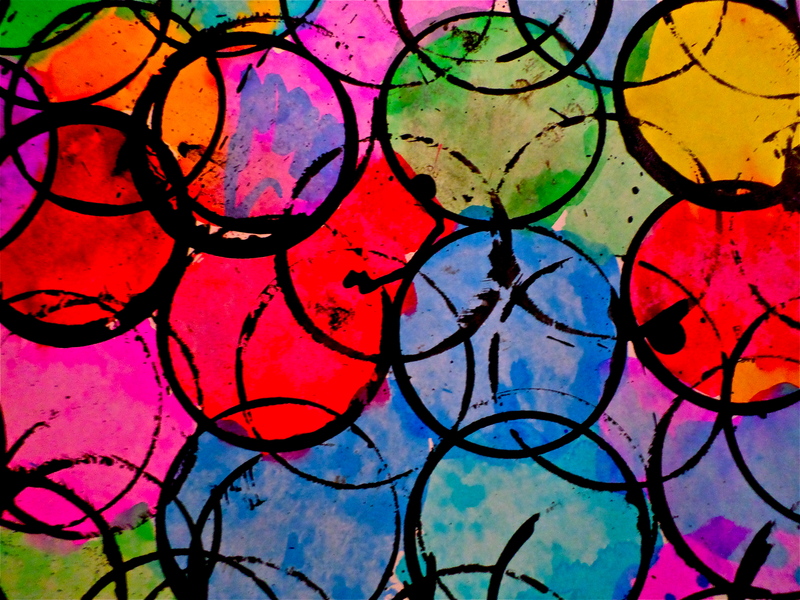 Many repeated the shape and allowed it to overlap other circles. 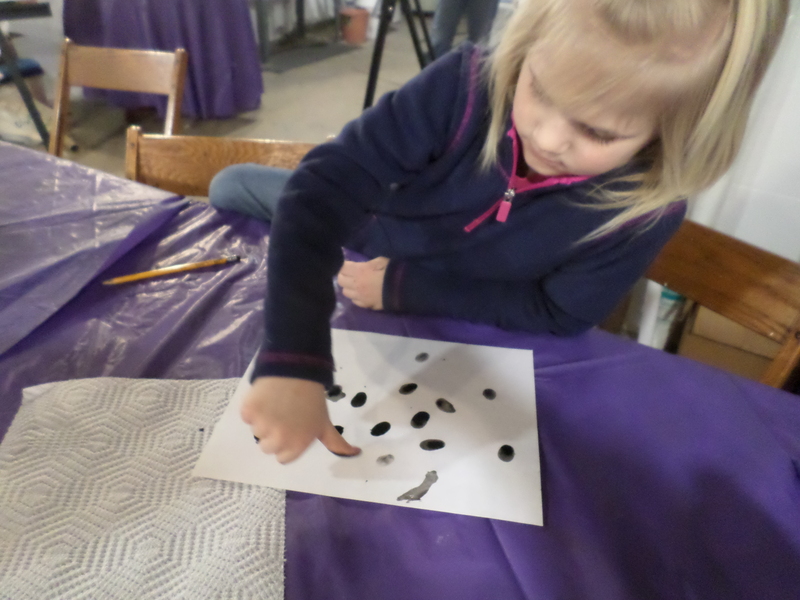 After creating many variations of circle prints we left them to dry. 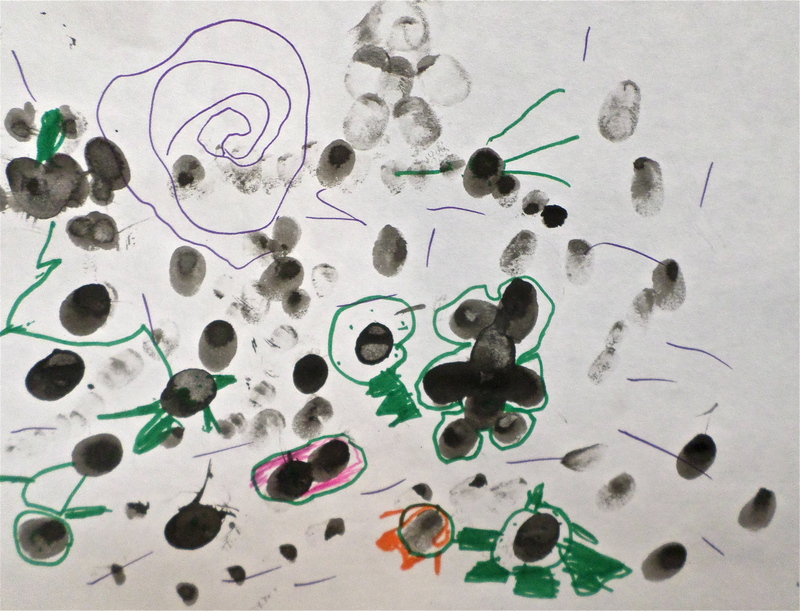 Next we explored thumb printing with ink. 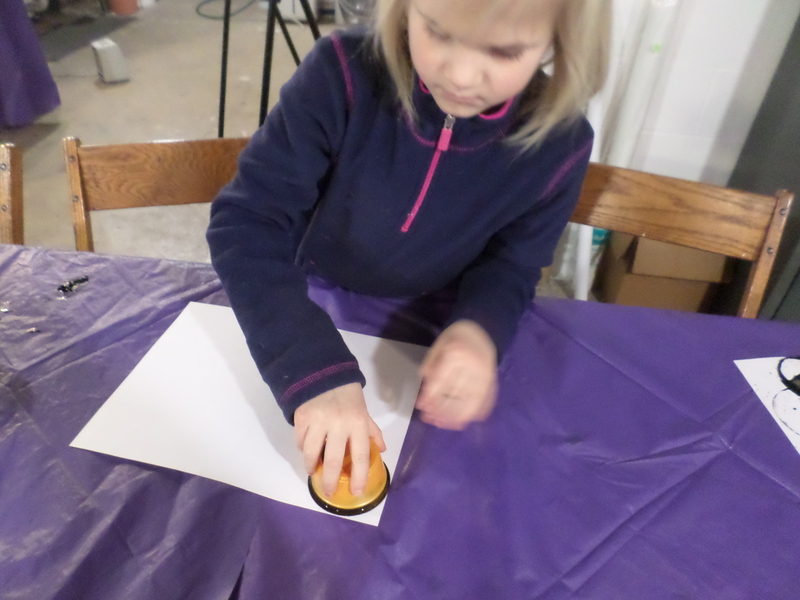 Everyone explored various shapes with the thumb. 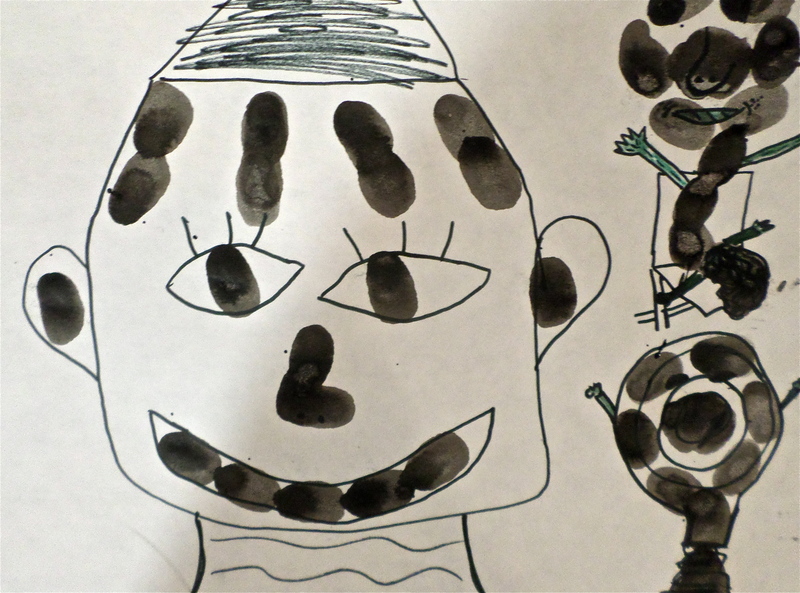 Next we added marker to complete our thumb images. 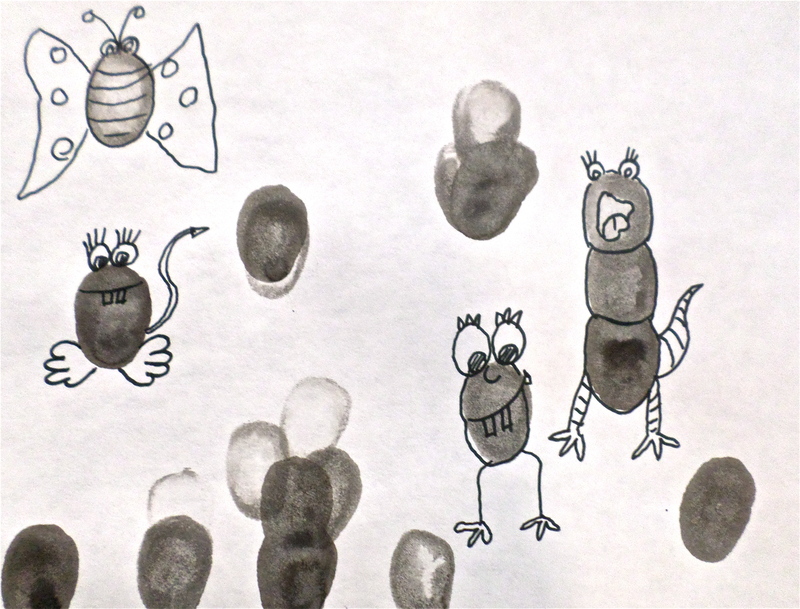 Here are some examples of our thumb printing.